announced today that its wholly-owned U.S. subsidiary, Elbit Systems of America, LLC, was awarded a contract from The Boeing Company for the development of the C-17 Replacement Head Up Display ("RHUD") for the United States Air Force. The contract, which is not in an amount that is material to Elbit Systems, also contains options for Recurring Production and Repairs. 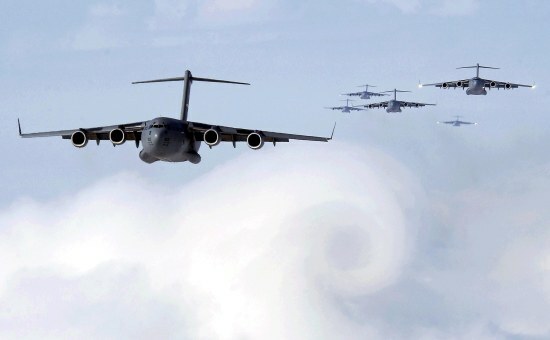 The C-17 provides rapid strategic delivery of troops and cargo to main operating bases as well as tactical airlift and airdrop operations within a theatre of operations. The collective efforts of Boeing and Elbit Systems of America will provide the United States Air Force with a new C-17 RHUD that will enhance the ability of the aircraft to fulfill the United States’ worldwide air mobility requirements. Elbit Systems of America, President and CEO, Raanan Horowitz added: "We are proud to have been selected to perform this project, incorporating leading HUD technology into the world’s most advanced airlift aircraft.